This is important because we are dealing with the truth of God's word. 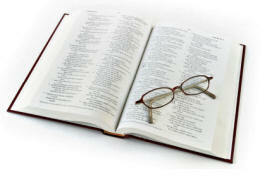 We do not have the right, as Christians, to violate God's word (1 Cor. 4:6), and take liberties with God Himself when speaking for God! Paul said in Gal. 5:8 that "a little leaven leavens the whole lump of dough." He was speaking about false teachers. The Shack has false teachings in it such as universalism, having God the Father appear as a woman, presenting the Holy Spirit as a woman...even if it presents God in a nice and palatable way. This is important because we are sinners and are by nature susceptible to sin and rebellion against God. We don't need any help in misrepresenting Him -- even in the slightest. This is important because as Christians we need to uphold the word of God as faithfully as possible lest we accidentally assist the enemy of the gospel in his attempt to water it down and change it -- even if ever so slightly. This is important because God is the standard of holiness and righteousness and if we deviate from that -- as Paul Young does in The Shack when he misrepresents God's greatness -- we are asking for trouble...and trouble is what people have found when they have taken even a little liberty with God's word. This is how cults get started.